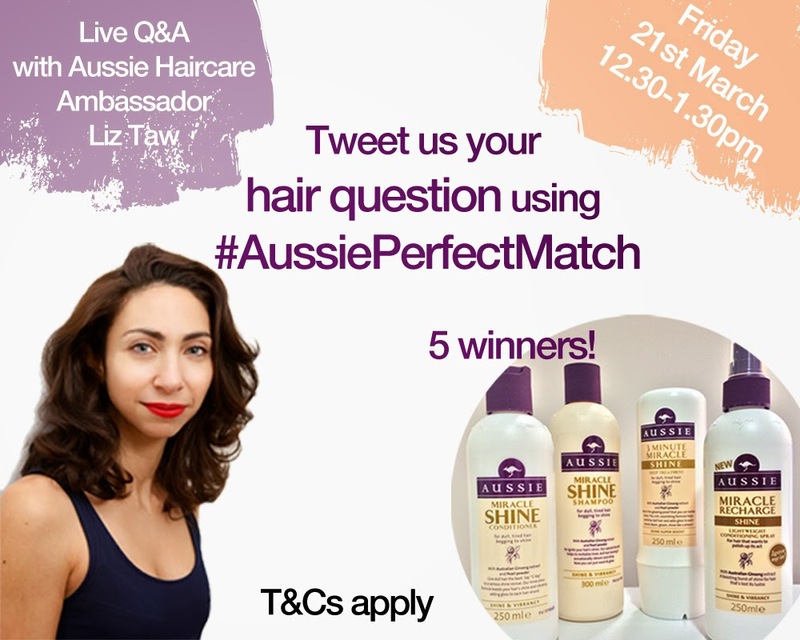 Emtalks: Aussie Hair Care Twitter Party and Giveaway! Hello everyone, so I've got something exciting to tell you about today. 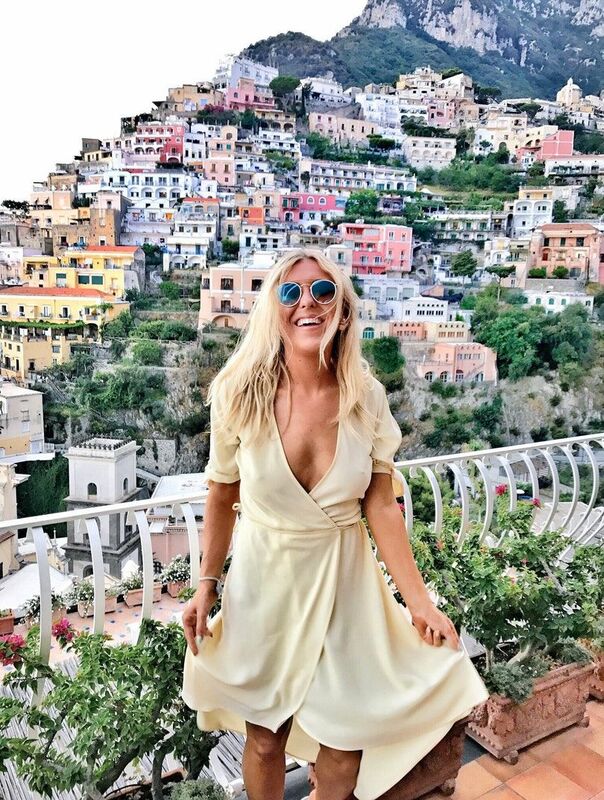 As most of you will know if you read my recent Aussie Hair Care review (read it here to get up to speed if you missed that), I am absolutely in love with Aussie's new launches, so when they asked me if I'd like to host a Twitter party with them, I of course said a big fat excitable YES! Read more to find out how you can join in and how you can win some Aussie treats! On Friday 21st March between 12.30pm and 1.30pm (the perfect lunch-time party) Aussie, me and Milly from Pearls and Poodles will be hosting a Twitter party, in this live online chat, we will be tweeting using the hashtag #AussiePerfectMatch - now you may have seen me using the perfect match hash tag on instagram last month whilst working with Aussie on this launch and it was pretty exciting so I'm even more excited for this. But now we want you to join in too! Me with my big, natural Aussie hair! So what's going to be happening at this online party? 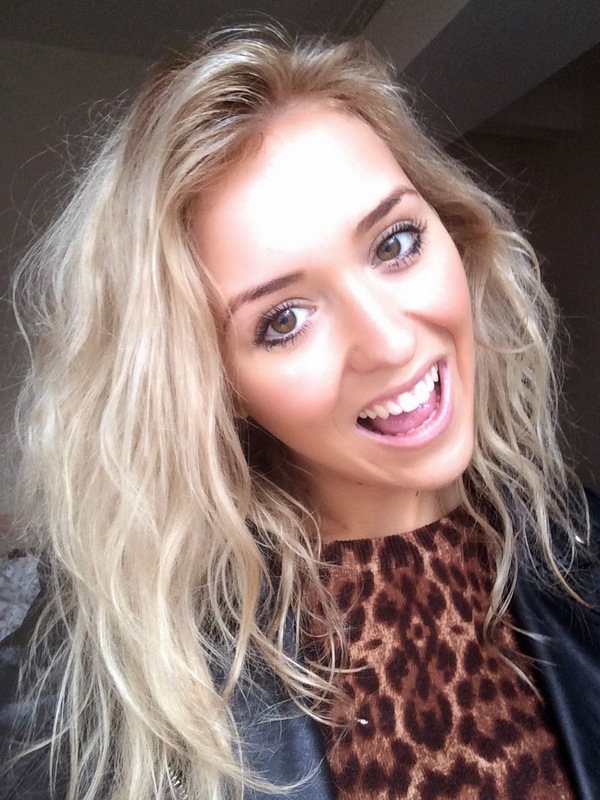 -Aussie Haircare Ambassador Liz Taw will be there to answer all of your hair related questions. So does your hair need some TLC? Need a 3 minute miracle? I know mine does... join in the chat with me (twitter: @emshelx), Milly, (twitter: @pinkpixiedoll) and Aussie, (@Aussie_Hair_UK) to find your #AussiePerfectMatch - I'm excited and I hope you are too! In the mean time, you can find out why I love the new Aussie products so much here and read my review of their amazing new launches. Do you love Aussie hair care as much as I do? Will you be taking part? Have you joined in on any Twitter parties before? Find the terms and conditions here. *This is sponsored by Aussie (but I love and swear by Aussie so jumped at the chance! ).